I loved this quote from the book “Portrait Revolution: Inspiration From Around The World For Creating Art In Multiple Mediums And Styles” by Julia L. Kay. I have often felt the same. When I draw a portrait, I’m not only capturing the likeness of my subject, but also putting a piece of myself in it as well. I want to express my own thoughts and dreams through faces sketched on paper. Portraits are the most important type of art for me to create, personally. I’ve always loved capturing a face, rendering the glint in an eye and the twitch of a smile in the corner of a mouth. To capture not just a precise placement of lines and features, but the essence of a person is what draws me. What are his eyes saying? What is she thinking? What’s his story? These are the questions I want to answer in my portraits. I was very excited to read through this book because as much as I love drawing and painting portraits, I equally love experiencing a portrait through the eyes of other artists. It’s very interesting to see what went into someone’s process, the ways they do things completely different from how I would have done them, and to see a finished product that is completely unique. The author also loves portraits, and after spending three years of drawing one self-portrait per day, she decided to start an artist collaboration group on Flickr.com, in which artists could post photos of themselves and other artists could use them as references for artwork. I am part of a similar community, on an app called Sktchy, and it has been very inspiring and motivational for me. 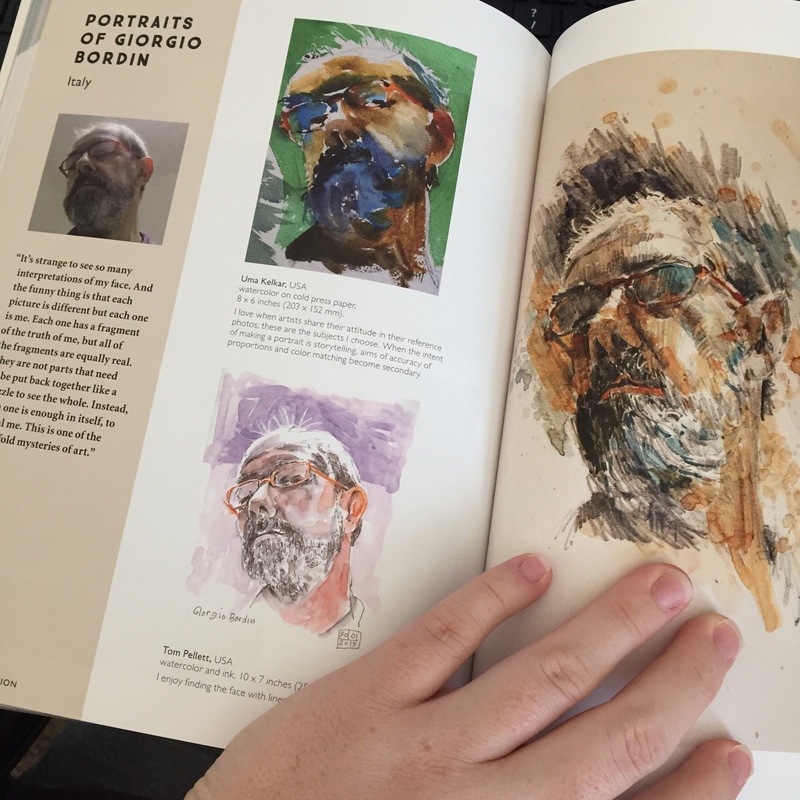 Several sections of the book included multiple portraits of the same subject done by different artists, which really highlighted the vastly different thoughts and creative processes each artist went through to capture the portrait. I really enjoyed flipping through and seeing so much art, in styles ranging from abstract to expressionist to realism. All manner of mediums were represented, even ones I’d never thought of using, such as traditional printmaking and stones. One thing that’s sure to get me out of my head and give me a new perspective on my own art is enjoying and analyzing the work of others. 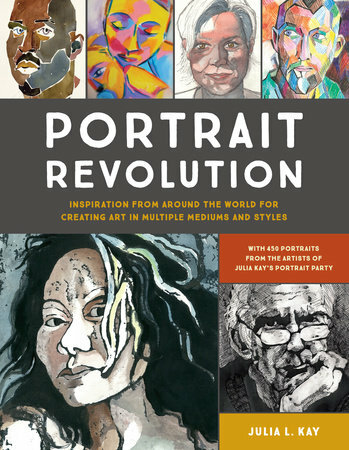 Portrait Revolution is sure to become a staple part of my art book collection.